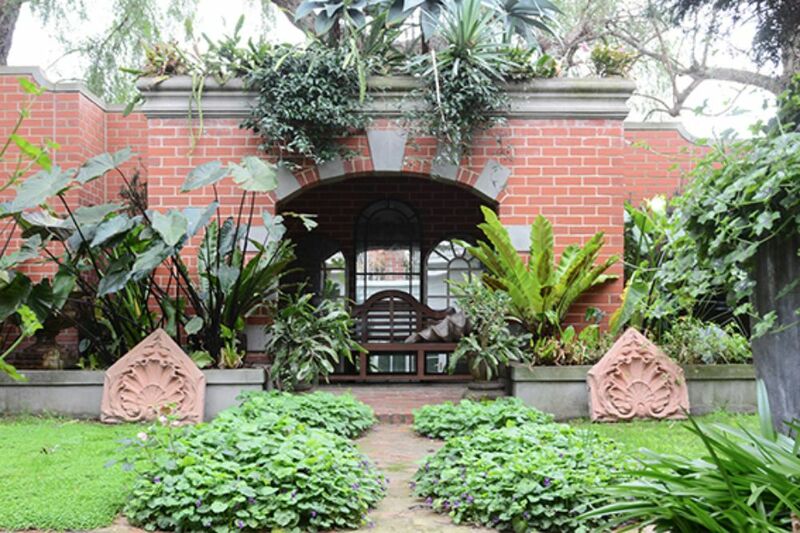 This garden is playful and unexpected – with dramatic scale and exuberant plantings. 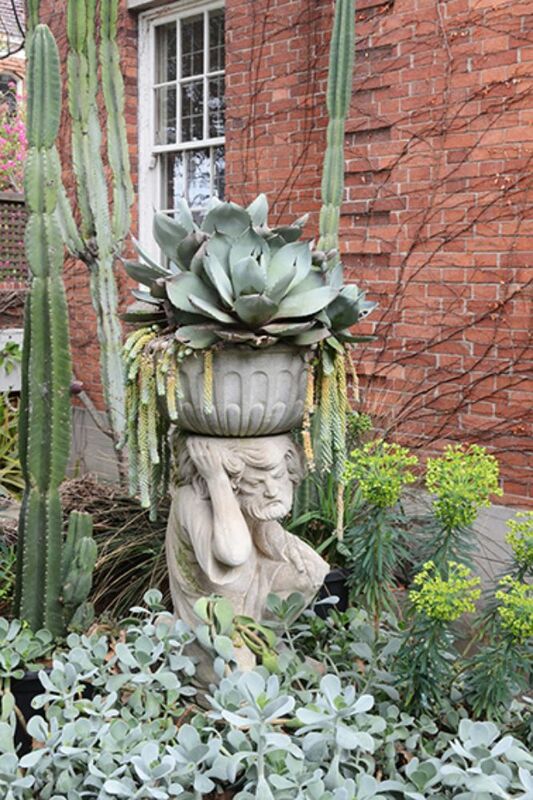 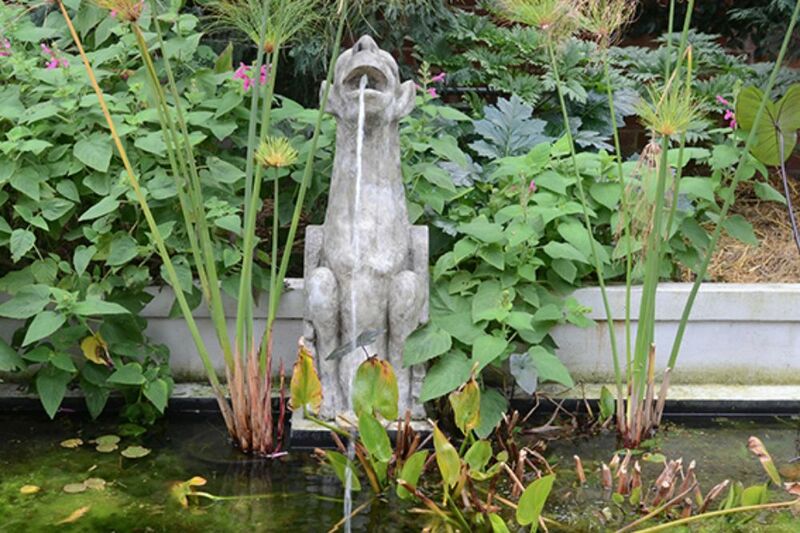 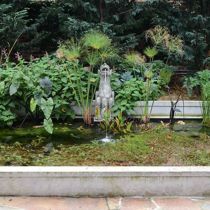 There is a grotto, gargoyles, griffins and fun sculptures that can’t help but make you smile. 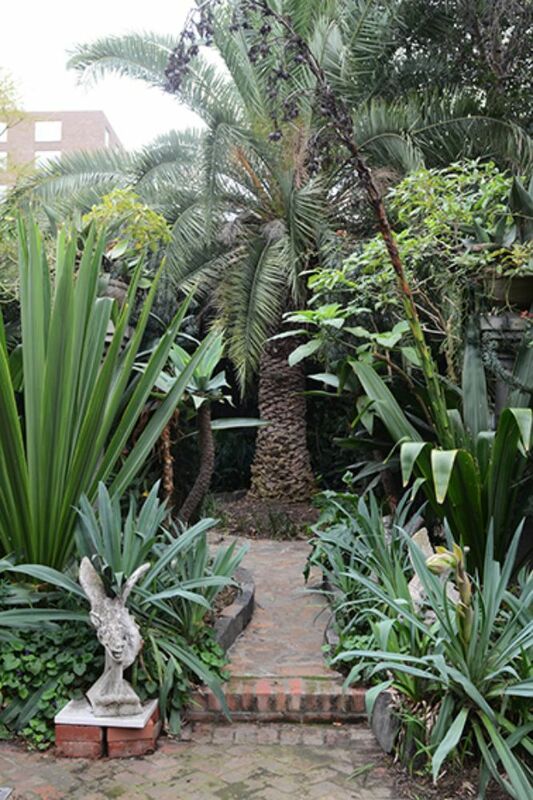 The overall feel is of an exotic oasis in northern Africa. 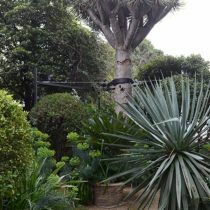 There are mature trees both within the garden and ‘borrowed landscapes’ from neighbouring gardens. 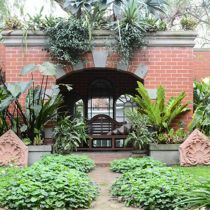 The front garden is symmetrical but unconventional which both echoes and contrasts with the neo-Georgian house. 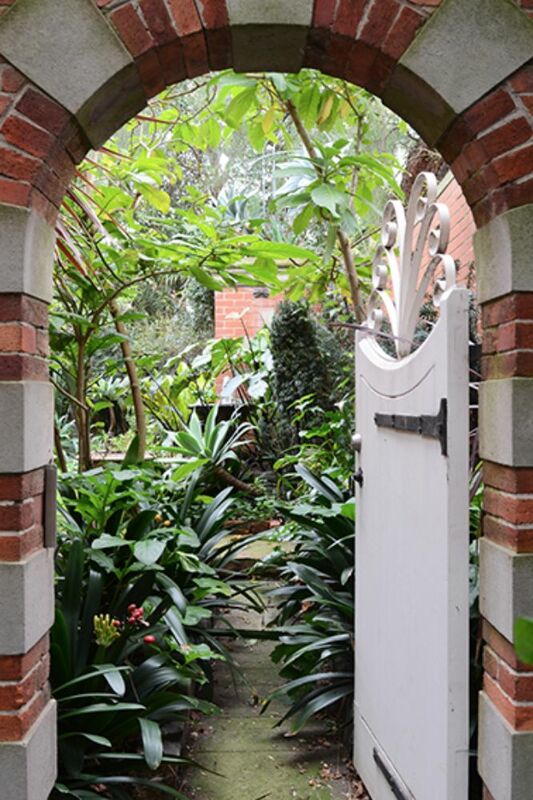 Visitors approach the rear garden through a shady glen thickly planted with clivias. 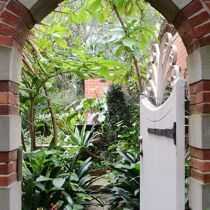 The main rear garden features a grotto and tall columns with tall trees and climbing plants. 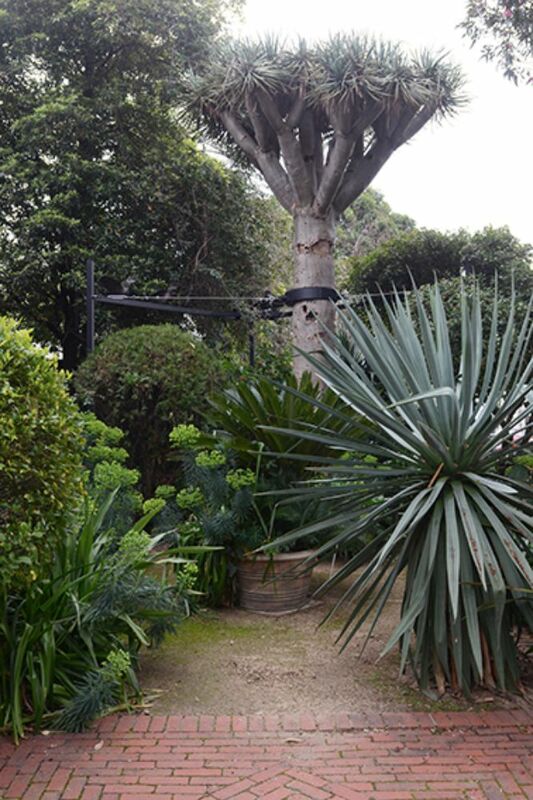 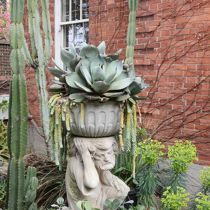 The owner likes unusual plants and has planted several dragon trees, mature date palm trees, ferns and succulents. 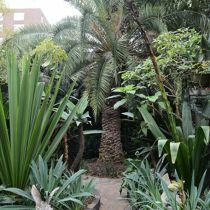 The garden extends into the property at the rear of the main garden where the area is still developing. 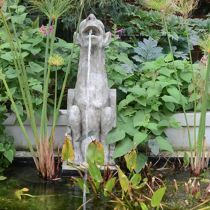 It has a large water feature with gargoyles and a shaded area for chickens, rabbits and guinea pigs. 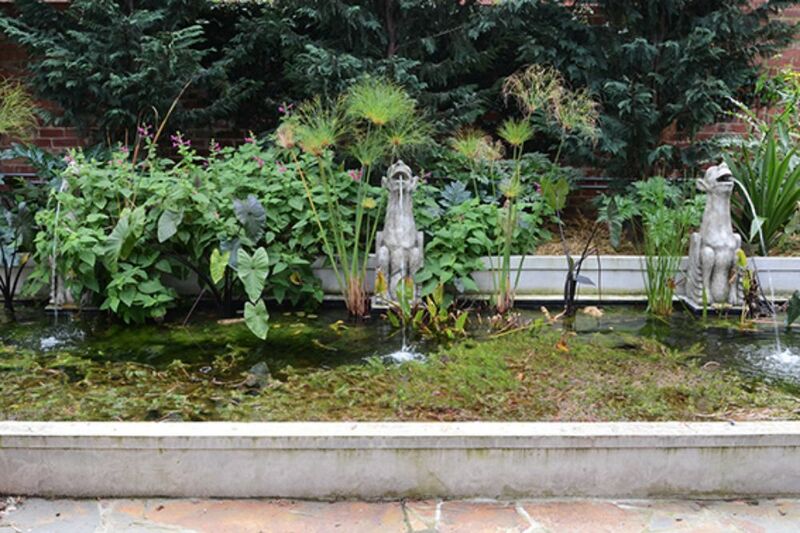 Children will love exploring this garden!